Young readers will discover that there are big difference in the way children live - and that not all children have access to clean air and water, adequate food, health care, education and other basic needs. To eradicate the inequalities, most countries in the world have signed the United Nations Convention on the Rights of the Child (see pages 32-33 for a child-friendly version). Excerpts from the UN Convention complement the stories from "This Child, Every Child" and show what progress is being made to improve the lives of children. 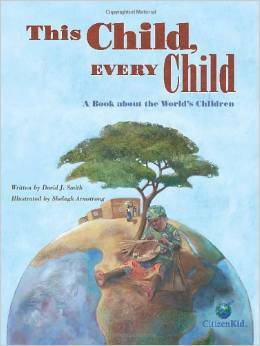 "This Child, Every Child" shows young readers that all children are fundamentally the same and have the same needs, no matter where they live. It also highlights the drastically different realities of children's lives. With its activity and discussion suggestions, it empowers young readers and their families to help ensure that all of the world's children have the same opportunities to thrive.